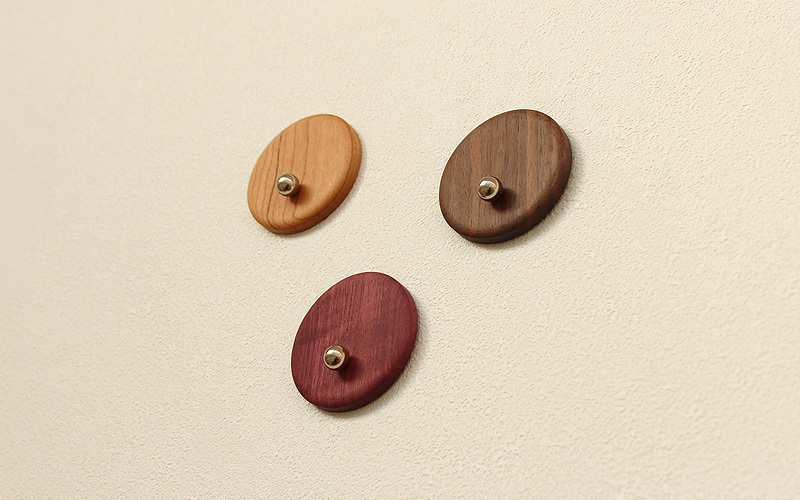 These wooden push pins will let you put up your favorite pictures and posters without piecing them. 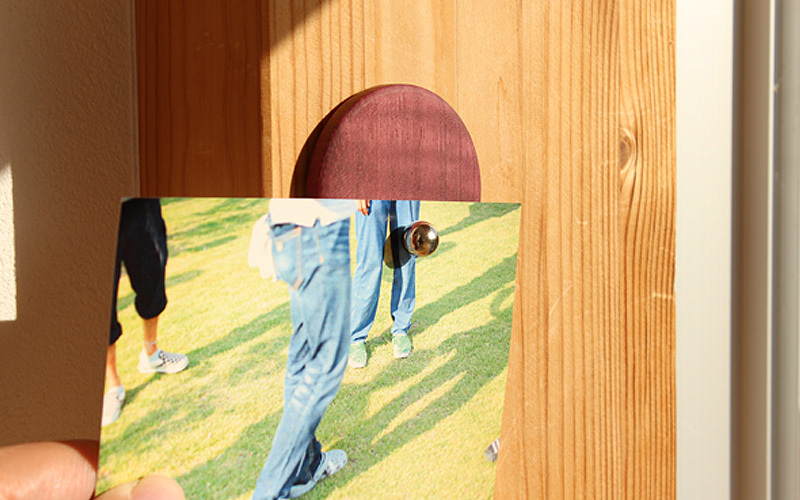 By sliding its corners between magnet balls and wooden disks, decorative collage on your wall can be re-arranged easily. 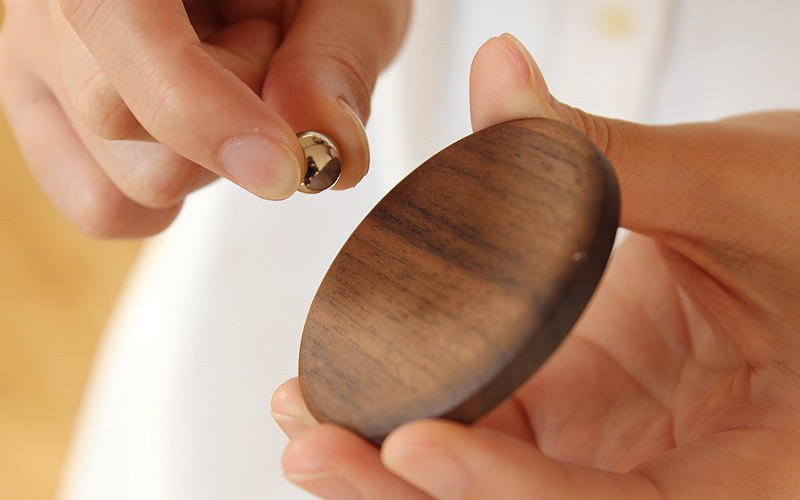 Single magnet is strong enough to hold a post card.